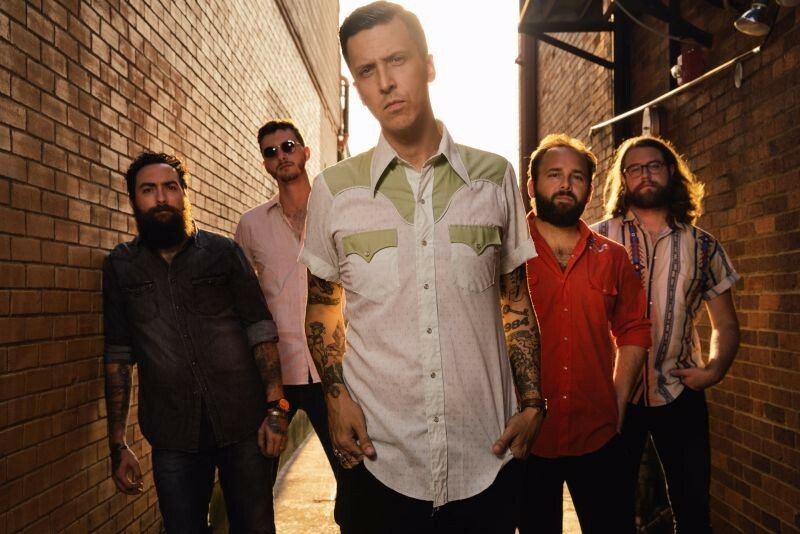 Friday, September 7, 9:00 p.m.
ALT-COUNTRY rockers American Aquarium return to Savannah, bringing their "Things Change" tour to the Jinx Friday, September 7. 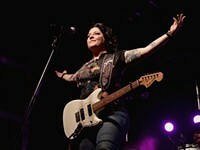 Formed in Raleigh, North Carolina, in 2006, American Aquarium, knows the road and rock star-level rabble rousing. 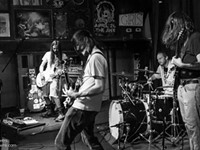 They’ve toured small towns and dive bars—playing as many as 300 shows a year—delivering hard charging whiskey swagger from Texas to the Carolinas, up and down the east coast and eventually to Europe. Logging the miles, playing the shows, releasing six albums—it wasn’t until the band’s seventh release “Burn. Flicker. Die.” produced by Jason Isbell that American Aquarium garnered significant critical praise and recognition. “Burn. Flicker. Die” a dark tome about not making it in the music industry, ironically, was the album that made the band and placed them on par with the likes of Drive By Truckers, Whiskey Town and Lucero. 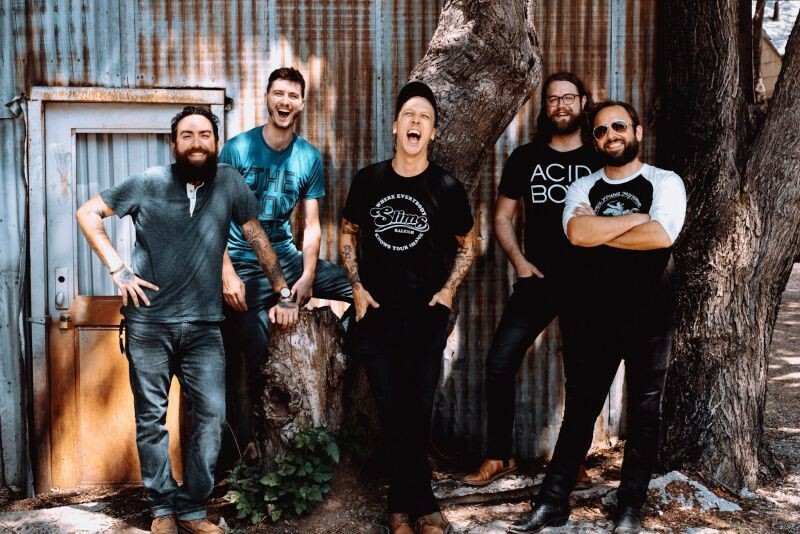 American Aquarium is the brainchild of writer, guitarist and front man BJ Barnham, with whom we recently had a moment to chat. American Aquarium is currently on tour in support of its 2018 release “Things Change.” What are some of the changes that helped bring this album to life? So much has changed! “Things Change” is the first album I’ve written sober. I got sober August 31, 2014.And I tell you, maybe it’s obvious, but being sober makes things so much clearer. The band has a new line up of players and that’s created an easier, more positive vibe in the studio and on tour. Also, I got married, bought a house, and this year my wife and I had a baby girl. Her name is Josephine Pearl. These are the kinds of changes, big changes, that make you step back, take a breath and take stock of your life, really think about who is depending on you. 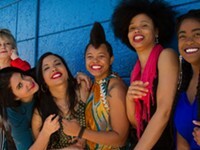 The new album in general and the track “The World Is on Fire” specifically minces no words in their political bent and critique of the current social and political climate in America. The album has the potential to alienate a good portion of your fan-base. Can you share a bit about some of the artistic choices of expression on the album? First, again, this album was written sober, and these are sobering times. And yes I eat fried chicken and like Nascar, and I’m a left-leaning Southern man. Anyone who is surprised by this hasn’t been following me, really. If fans didn’t see this coming, maybe it’s time they get sober! For me, “Things Change” isn’t a political album. It’s me writing my way out of this, writing my way into making sense of how the world got to be the way it is right now. If this album alienates some, again they haven’t really been listening. The album though will resonate with others. A trade off of sorts. Hope, hard work and perseverance are major themes woven throughout this record. At the end of the day I’m a man in search of truth, and music and writing are my tools in this pursuit. You mentioned having a baby girl, Josephine Pearl, earlier this year. How does being a father influence your approach to music and writing? My daughter is everywhere in this record, maybe not so obvious to the listener but to me she’s in every bit of it. I wrote these songs knowing she was coming, and there’s no way being a father doesn’t affect my songwriting. Josephine Pearl is why I’m working so hard. She and my wife come on the road for 10 days at a time. My daughter is going to grow up differently from a lot of kids. She’s already been with me in nine different states, and I think that’s very important. “Burn. Flicker. Die.” The band’s seventh release was intended to be the last, and you gave this great quote about that album, “It’s a record for anyone who creates art even if recognition and a stable living may never come from it.” Can you share a little bit about that turning point, or points, in which you went from anonymous toil to acknowledged sustainability? We toured for seven years in more or less anonymity. And it was hard. And fun, yes, what I can remember. We played to drink and we drank to play. It was a lot of miles and a lot of drugs and alcohol, and so many times I thought we were close to breaking through. Before we recorded “Burn. 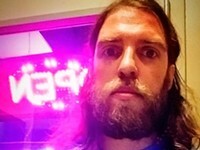 Flicker Die.” We were all teetering on the edge from heavy partying and heavier touring. That album was intended as our swan song. Jason Isbell had just left Drive-By Truckers and offered to produce it, so we took all we had left and went to Muscles Shoals to record and let the honesty and truth of despair find us in the music. And maybe that’s what saved us, though we didn’t see it. We were resigned to the fact that this was the last one. We were finished. But the truth of those seven years of giving it our all came through in those recordings, with Jason’s guidance of course. That was a turning point, musically, professionally. Being ready to walk away from it all, you know, like nothing left to lose. And somehow the complete opposite came of it. What are some of your long-term goals for your music? What kind of legacy do you want to leave in the Roots Americana canon? My wife and daughter figure prominently these days. I want to show my daughter more than how I grew up in a little North Carolina tobacco town. 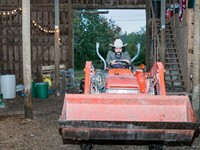 What I do now is about the sustainability of my family. Truth and honesty are at the heart of that, iand so long as I focus on truth, success will come eventually. It’s like the song “The World is on Fire,” can’t give in, can’t give up. We must go boldly into the darkness and be the light.